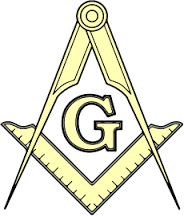 Scholarships – Mount Vernon Lodge No. 219 A.F. & A.M.
Mount Vernon Lodge No. 219, A.F. & A.M. is honored to offer the Robert C. Hutton Memorial Scholarship which provides three (3) $1,000 scholarships to deserving students who are enrolling in institutions of higher learning. Two (2) $1,000 scholarships will be given to students who are related to a current or former member, who is in good standing, of Mount Vernon Lodge No. 219, or who are members of a Masonic youth group: DeMolay, Rainbow, or Job’s Daughters. One (1) $1,000 scholarship to a deserving student at a local high school who is enrolling in an apprenticeship, vocational or trade school, or junior college program designed to graduate a tradesman. See the application form for details.